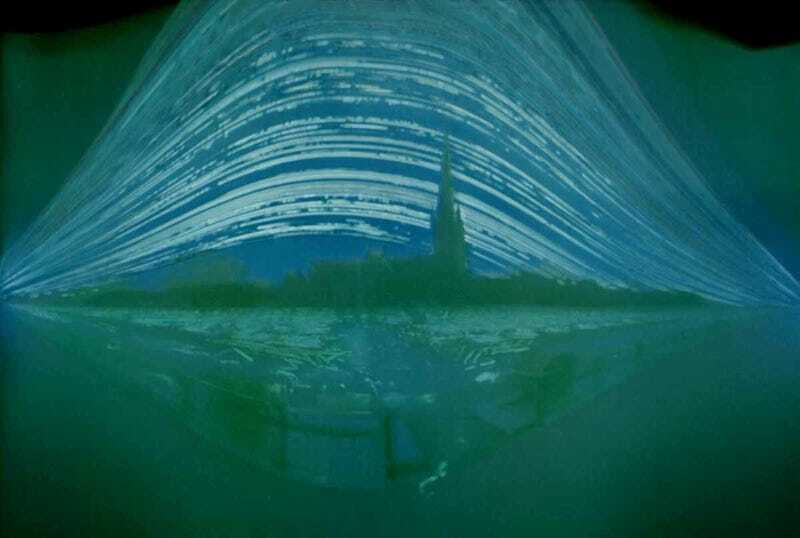 Justin Quinnell left his homemade pinhole camera continuously exposed for a whopping six months to capture this incredible photo of Saint Mary Redcliffe Church in the UK. Most of the cameras survived 6 months of wind, rain, hail (and being thrown in the bin!). Several were blank; one was full of water, (the emulsion on the photographic material having floated off.) and one, still exposing, currently sits inaccessibly under 10 foot of bramble, waiting forever to be recovered.